Mike Ashley, billionaire founder of Sports Direct, is being hauled over the coals for his sub-standard working practices at the retail sports giant. You may be familiar with the case following a Guardian investigation six months ago, that revealed the main warehouse in Derbyshire was not a very nice place to work. You may believe news reports that say Mike Ashley is outspoken; you may think it’s a cop-out that he denied knowledge of the mistreatment in his warehouse and blamed his over-zealous managers; you may see Mike Ashley’s astronomical net worth and question the morality of a billionaire paying hundreds of people meagre wages. But what are the real HR issues, legal and otherwise, under-pinning the headlines? And what do they mean for small business owners (who like Mike Ashley), want to build a financially successful business? Has the Sports Direct owner lost control? Whilst this may feel like a ‘big business’ story, Sports Direct was founded by Mike Ashley back in 1982 and he still owns a majority stake. The business has grown organically from start-up to retail chain with 670 stores so on paper his business looks like a resounding start-up success story. “I can accept the criticism of some of the things that you’ve said to me today would actually lead me to believe that it’s definitely outgrown me… that’s shocked me what you’ve said to me today,” Mr Ashley said. I’m sure most of us would love the financial success that Sports Direct has had. And, he will not be the first business owner to have taken his eye off the ball. With investors commenting openly about their concern, the recent discussion in parliament has highlighted the need for the Group to re-organise its top management. Additionally, the chief exec, Dave Forsey, will not be taking his four year share bonus worth as much as £4 million. This is one of the major headlines from the Sports Direct saga, made all the more newsworthy because the owner is an outspoken billionaire. 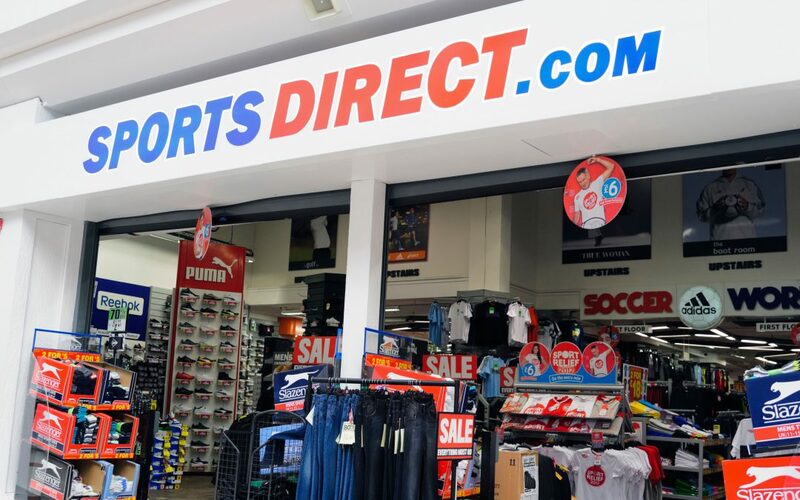 The problem is that Sports Direct did not pay staff for the time it took to carry out compulsory searches at the end of employees shifts, and not that they were blatantly and illegally paying workers an hourly rate that was less than the minimum wage. The important point to note here, is the need for employers to take into account extra time taken for things like end of the day searches or travelling time between work sites that should be included in an employee’s calculation of working hours. National Minimum Wage or National Living Wage, depending on how old the employee is, must be paid as an average across all the employee’s working hours. Because of this oversight, Sports Direct are being investigated by HMRC and are likely to have to pay staff back the wages that were unpaid for those 15 minute searches. In addition to paying the unpaid wages, they may also be required to pay a financial penalty of 100% of the total underpayment for all workers found to be underpaid up to a maximum of £20,000 per worker. Sports Direct have also pledged an additional £10 million to increasing workers’ wages. Just imagine if they had got it right in the first place how much time, money and reputation damage they would have saved! Sports Direct run a series of compulsory searches at the end of each shift, presumably to ensure staff are not stealing goods. On the face of it (and certainly looked at within the context of this story) this may appear to be unfair treatment of staff. Clearly there is a business need to protect here, and employers are within their rights to take steps to make sure that staff are not leaving with company goods at the end of a day, but they need to do it sensitively and following policies and processes which have been clearly communicated to their employees beforehand and applied in a fair and consistent manner. Staff searches are common place in retail environments, and if it is done well, there is no need to have a culture of fear as is being complained of at Sports Direct. This is where a well drafted Staff Handbook can help. Going through staff disciplinary procedures and conducting dismissals in the wrong way can get you into a lot of hot water should the staff member decide to make a claim for unfair dismissal. In the Sports Direct case, it appears that their procedure is bullish and aggressive but it’s hard to tell if it has fallen short of the correct legal procedure. In case you’re not familiar with it – the employees were allowed to have six strikes and then they were dismissed. It’s been reported that spending too long in the loo, excessive chatting or taking a day off sick would award you a strike. There is nothing wrong with setting the company’s expectations up front as to how employees should act in areas like loo breaks and lateness, and even having a system of points counting towards a negative result under your disciplinary procedure can work, but it is all about how you communicate this to your staff from recruitment onwards, and then how fairly you apply your policy to all staff, especially remembering the need to deal with each breach of company rules carefully and giving the employee a chance to explain themselves or challenge your position. The Concessions Select Committee have requested that Sports Direct review their controversial ‘six strikes and you’re out’ policy. We will be keeping a close eye out for any news of the revised policy! Too many zero hours’ contracts? It’s been reported that Sports Direct had ‘too many zero hours contracts’. A zero hours contract enables flexible working patterns, meaning that the employer has no obligation to offer work to the employee (for example if the employer has no work, or it is seasonal work), but also that the employee is under no obligation to accept the work. Zero hours contracts are not illegal, but it is illegal to require a worker on a zero hours contract to work exclusively for one employer. These contracts have been criticised in the press and by many politicians as a bad idea, but again, it is all about using them sparingly in the right situation and keeping them under review. Crucially they should only be used for temporary, unpredictable situations and not as an attempt to avoid giving employees their full employment rights if they are working on a permanent basis, even with variable hours. Workers on zero hours contracts do have certain employment rights including the rights to National Minimum Wage or National Living Wage, paid annual leave, appropriate rest breaks and protection from discrimination. But they wouldn’t get all the additional employment rights associated with things like redundancy, maternity and paternity. Employers should use zero hours’ employment contracts responsibly. It is not breaching any laws to employ workers on these contracts. But rather the spirit in which the contract is being used by both the employer and the employee is critical. In the Sports Direct case this has been described as a ‘Culture of Fear. Conditions at Mike Ashley’s Derbyshire warehouse being compared to a Gulag, or labour camp. The HR issue here is really about employee motivation. This culture of fear certainly motivated the Sports Direct staff to turn up to work; some when they were ill; some when they were pregnant; because they feared losing their job. In one extreme case a worker who was nine months pregnant apparently came to work because she was afraid of losing her job (and the baby was born in the loo at the warehouse). Which raises the question of maternity pay and leave and what workers are entitled to. But most of us can see that this is not the norm we should aspire to. Happy, healthy workers will always produce better results than those under extreme stress. The quandary often facing business owners is how much cash does motivating employees cost? Our experience shows that it’s not really about the money, and you can motivate and reward staff in much more creative ways to ensure you get the best out of them. So what next for business owners? It’s important to remember that business owners like Mike Ashley face a tough challenge when building a business. All the red tape that surrounds employment is there to protect businesses and employees alike, and in a case like this, the supposed mistreatment of staff and assumed breaches of employment law comes to the fore. Whilst the press have had a field day with the allegations, (and to many of us the working conditions sited appear unfair), if Sports Direct had followed procedure in the correct way, communicated with their staff in the correct way, and had documented evidence and sound employment policies, then they could have been operating inside the law (apart from not paying staff for the 15 minutes that the searches took). If you need any help with any of the issues raised in this blog, or simply have a question that you’d like professional guidance on feel free to get in touch with us.